Japan is helping its farmers cope with changing weather patterns by using something the county is best at—technology. Japanese farmers say they have never experienced the extreme heat the country is facing now. Last year’s summer was the country’s hottest with temperature in Tokyo topping 35 degrees Celsius for a week in early August. They cannot grow summer vegetables anymore. There are also too many bouts of heavy rain. Unusual weather is now normal. To tackle the problem, companies such as Panasonic Corp and Fujitsu Ltd are making use of automated greenhouses and sensor-controlled fields, according to a Reuters report. These provide constant weather conditions so that high-quality vegetables can be produced through the year. Panasonic’s greenhouse uses sensor-activated sprinklers, fans and curtains to keep heat and humidity at a constant—whether it is January or July. These demand less energy and are cost-effective. Such greenhouses are popular in United States and Europe, but are designed for a colder climate and are equipped with heating systems. The greenhouses are expensive—they cost 55 million Yens (US $540,000) for a set of 10. But Panasonic says that farmers will be able to recover the cost within seven years as constant temperature can double the harvest. The company aims to sell 1,000 of its greenhouses by March 2017 and hopes the system will eventually be used to produce a tenth of Japan’s spinach output, or 26,000 tonnes. Fujitsu offers solar-powered posts equipped with thermometers, humidity sensors and cameras for farmers’ fields. 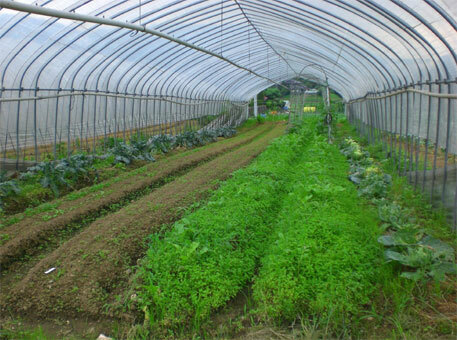 The company says its cloud-based farming system ensures that people can tend to their farms from home using a tablet. They can operate the sprinklers and fans in the farm depending upon the weather conditions. The system requires least effort and is designed to attract youngsters into a sector where the average age of a farmer is 66 years. Some firms have started converting factories into farms. Toshiba Corp, for instance, is growing vegetables at a former floppy disk plant near Tokyo, while Panasonic is growing radish and lettuce inside a Singapore factory. High-tech systems that can produce higher quality premium vegetables could give Japanese farmers the competitive edge they will need if the country joins the Trans-Pacific Partnership, or TPP, the free trade agreement it is negotiating with 11 other countries. Seed Planning, a market research firm, says that domestic demand for farming systems using information technology and the cloud is expected to expand nine-fold by 2020.